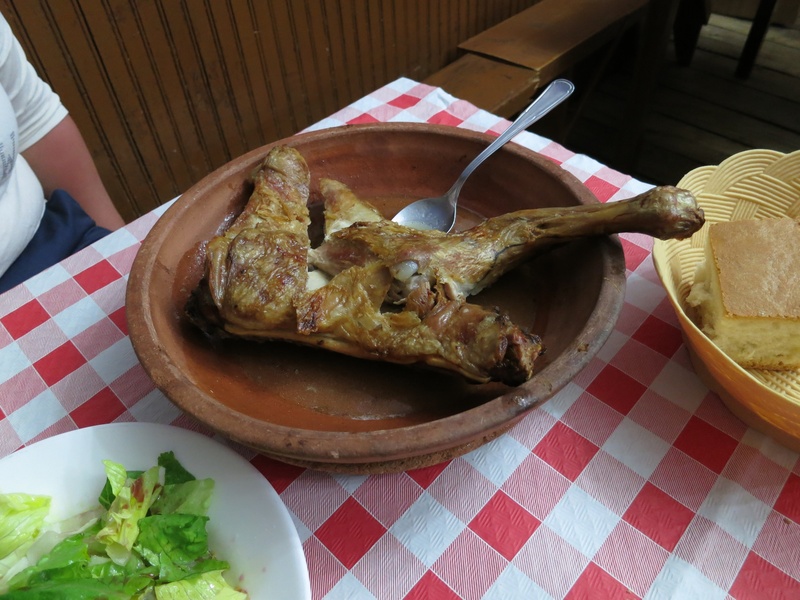 Lechazo is a speciality you can find in the whole Castilla y Léon. It is cooked in a special wooden oven. Lechazo is a baby lamb, which is maximum 35 days old. The “Asadores” normally serve 1/4 of a lamb for 2 people. You will find everywhere restaurants offering menus with Lechazo for 2 people, sometimes even including wine. We stayed for 5 days in Lerma which is very famous among spanish for the magnificent Ducal Palace (now Parador) and the Plaza Mayor. 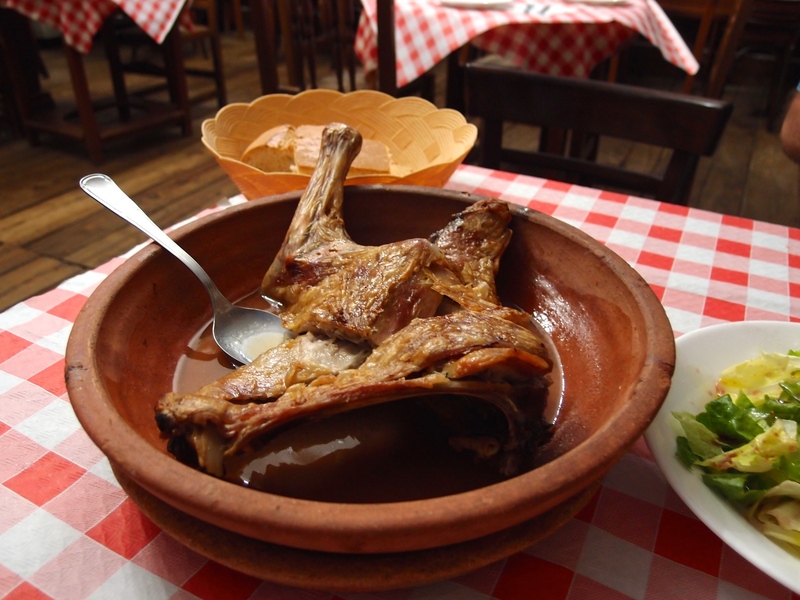 All the restaurants offer Lechazo as it is a local speciality. 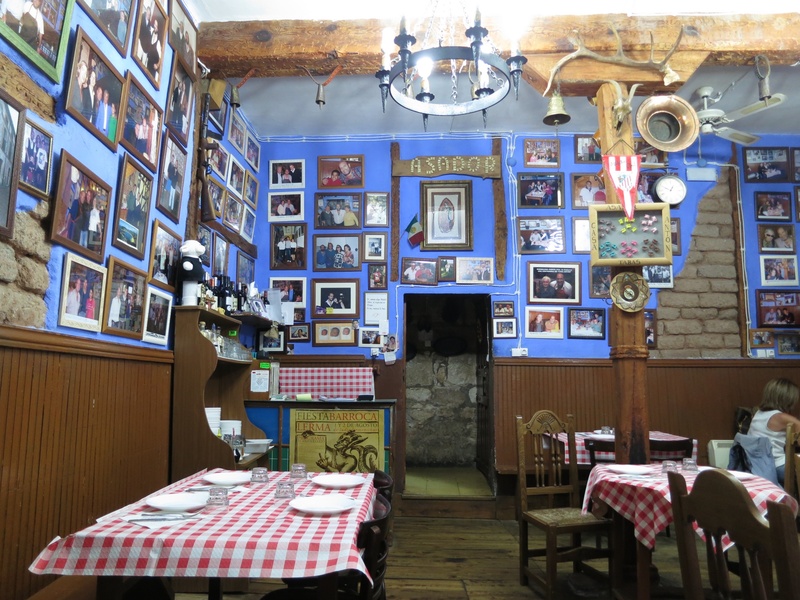 We tried Casa Anton which was recommended to us from the friendly owner of the Morcilla and wine shop on the square. 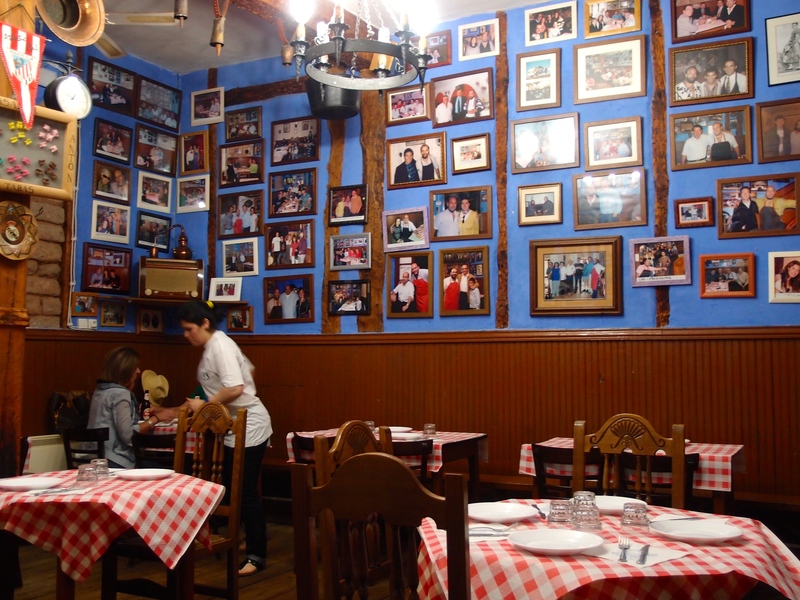 We went for dinner (luckily during the week it is not so full) and we were immediately asked if we were there for the Lechazo. As we said yes, she showed us a table and came back with a jug of House Rosé. Well tried to explain her we are more into Red wines and we got a wine menu (there is no food menu 😉 ). 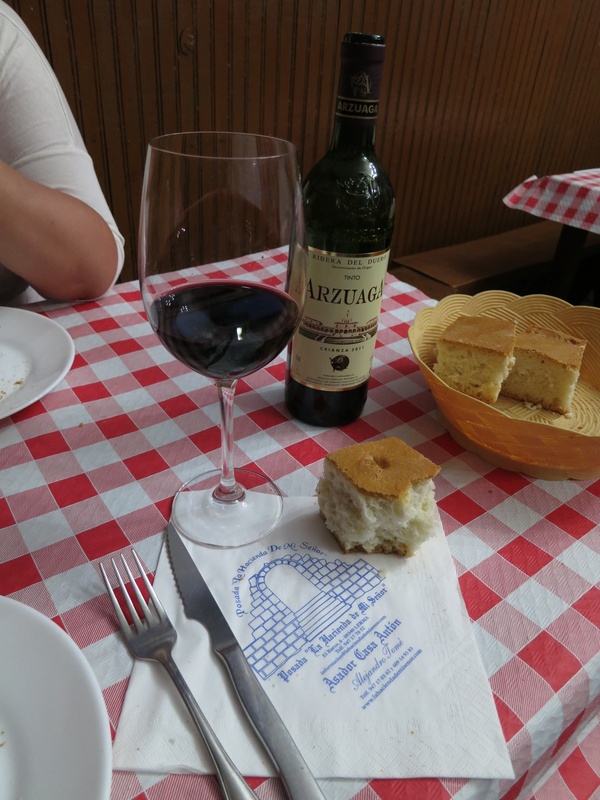 We managed to get a nice bottle of Arzuaga Crianza for a great price and the Lechazo was served with salad. Absolutely delicious!!! The best we had. Some house desserts and some coffee. By the way, we were never served water or asked for…. but we did not mind with such a nice wine!